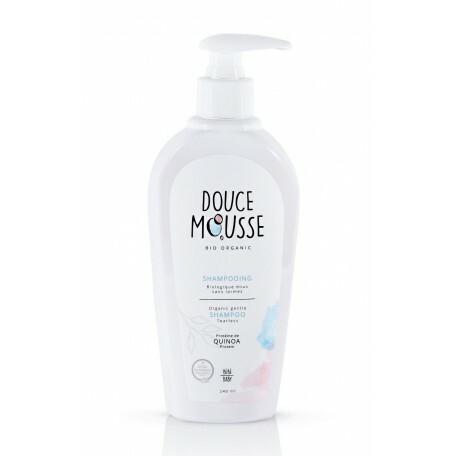 The baby shampoo from Douce Mousse is specially formulated to care for the delicate hair and scalp of your baby. It's formula is very efficient to help prevent cradle cap. It is made with quinoa protein, aloe vera, calendula, chamomile and mandarin extracts, all certified organic by Québec Vrai. 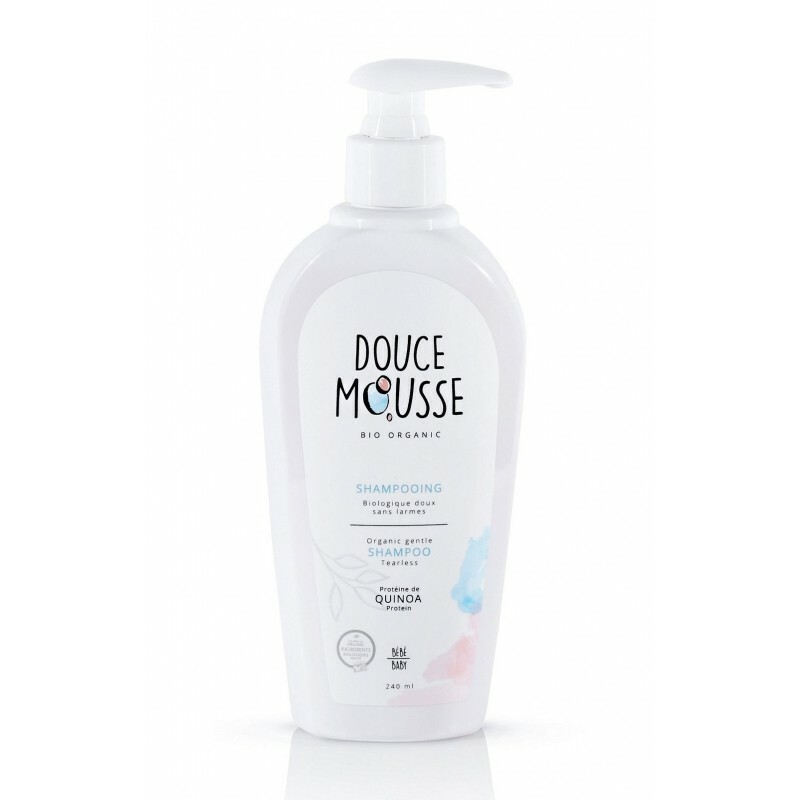 Shampoo Douce Mousse is made of ultra-soft vegetable base with ingredients certified by independent and reputable agencies. 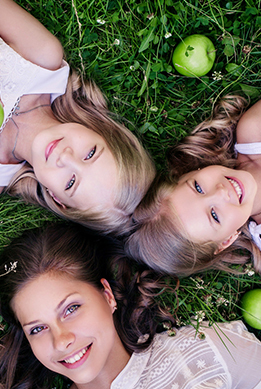 These certified ingredients assure products of superior quality, respecting the natural and organic standards. Protein Quinoa *, * aloe, calendula *, chamomile * and mandarin extracts * sweet baby up formulation. * Ingredients BIOLOGICAL checked by QUEBEC VRAI. Quinoa protein: Cultivated for over 5000 years, Quinoa was very popular with the Incas. Rich in antioxidants, gluten free, rich in essential amino acids, this protein strengthens and protects hair. hair. It has highly emollient properties that help soften the skin. Calendula: Concern or calendula, has emollient, softening and soothing. In addition to its anti-inflammatory properties include its antioxidant, restorative qualities. Chamomile: The active ingredients of chamomile effectively promote skin regeneration metabolism while being antiseptic, anti-inflammatory and healing. Mandarin: Mandarin prevails among toddlers with its undisputed delicacy and bromine wealth that real calming, soothing, antiseptic, draining and stimulating the lymphatic system.